16. 09. 2018 13:07 17 (3 - Suninen Teemu / Markkula Mikko): It's been a great weekend. My first target was to try and manage the car and I did. We need some more pace to fight for the podium next year. 16. 09. 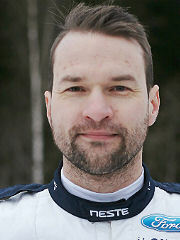 2018 12:25 16 (3 - Suninen Teemu / Markkula Mikko): I have been trying to be safe but it's hard to drive safely with the good rhythm. We have one stage to go and we bring the car home. 16. 09. 2018 12:17 14 (3 - Suninen Teemu / Markkula Mikko): It was a nice stage – it has a bit of everything. It will be a challenging one for the Power Stage. 15. 09. 2018 16:52 13 (3 - Suninen Teemu / Markkula Mikko): Fourth place is pretty good but it's been a tough day. It's been pretty safe, but okay young drivers always want more pace! This part of the learning. 15. 09. 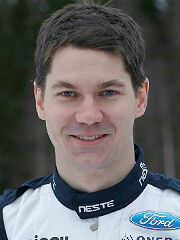 2018 14:54 12 (3 - Suninen Teemu / Markkula Mikko): Just driving through. Of course I try to keep the pace and do as good a job as possible. Still we are missing a bit. Fourth or fifth place would be okay. 15. 09. 2018 13:11 11 (3 - Suninen Teemu / Markkula Mikko): Still it's really good. It was a big fight. We made it at the last minute and I'm happy to be here! 15. 09. 2018 09:47 9 (3 - Suninen Teemu / Markkula Mikko): It was an ok stage for me. A lot of loose gravel and I struggled on downhill braking, but we were okay. 15. 09. 2018 09:15 8 (3 - Suninen Teemu / Markkula Mikko): A lot of cleaning I think. A lot of loose gravel - wheelspin in third and fourth gears. The road was smooth, not rough at all, but lots of loose gravel. 14. 09. 2018 15:54 7 (3 - Suninen Teemu / Markkula Mikko): There is a lot of things I've learnt, but then there are things where I should be better. It's homework for next year. 14. 09. 2018 15:09 6 (3 - Suninen Teemu / Markkula Mikko): I was just a bit carefully. There was two cars I had to slow down a bit for. When I drive flat out I can go well, but I have never been in these conditions before so I don't know the limit on the tyres or the cars. 14. 09. 2018 13:43 5 (3 - Suninen Teemu / Markkula Mikko): That was a good time, but the stage is crazy bumpy. A lot of hits to the car and the body, I hope my stomach is okay! The car is working really nicely in the rough places, it is really strong. 14. 09. 2018 10:20 4 (3 - Suninen Teemu / Markkula Mikko): There is no knowledge of how hard we can drive the car in these conditions. These cars are taking a lot of hits but there is a limit - I just hope I don't find it on this rally. 14. 09. 2018 09:24 3 (3 - Suninen Teemu / Markkula Mikko): It is really tough, but the beginning of the stage was better than the one before. The car is working nicely but I'm struggling with the pace. 14. 09. 2018 09:13 2 (3 - Suninen Teemu / Markkula Mikko): No problems. It is difficult to find a driving rhythm when there are a lot of rocks. I was looking after the tyres as well, but now we are a lot of time behind the fastest time.